The Water’s Warming Up. Is Your Pool Ready? Home » Blog » The Water’s Warming Up. Is Your Pool Ready? With temperatures rapidly rising, it’s time to get the pool ready for swimming! Unlike those that choose to merely turn to a local beach for their fun in the water, pool owners need to take extra steps to get their relaxing oasis ready for summer. Maintaining a pool can be time-consuming, and a bit overwhelming if tackled alone. That’s where Triangle Pool comes into play for homeowners in need of pool cleaning service in Seminole. Weekly Service- We provide weekly or bi-weekly service depending on the plan you purchased. Your oasis will always be sparkling clean when you want to swim! 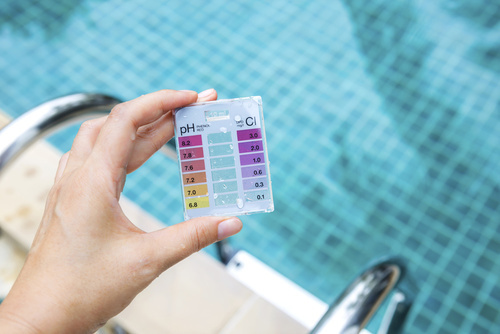 Water testing – Our technicians will test to make sure the water is healthy and has the right chemicals it needs. Chemicals – We provide all chemicals needed for each visit and will administer the correct amount. You can forget about trips to the pool supply store! We also clean the filter, vacuum, and skim the water. Enjoy the convenience of a clean pool without the hassle of cleaning it! We also offer free use of a Salt Chlorine Generator. After six paid months, the company offers one month free. Free use of chlorine generator. As a current customer, receive one month of free service upon signing up friends. Make Your Cleaning Last with These Easy Tips! Fight pollen: A yellow ring around the edge and just above the water line is a sign of pollen collecting. It may seem alarming, but simply brush the walls of the pool relegating the pollen to the floor. Our technicians will be there to vacuum it up later! Check filter: Leaves, branches, bugs and other debris in the water are pulled into the pool filter. It’s important to check the filter every day; this will cut back on cleaning and keep your system functioning properly. Keep deck clean: It may seem like common sense. Cleaning the area around the pool will go a long way towards keeping the pool clean. However, this simple step often gets overlooked. There’s no denying the importance of a clean pool. 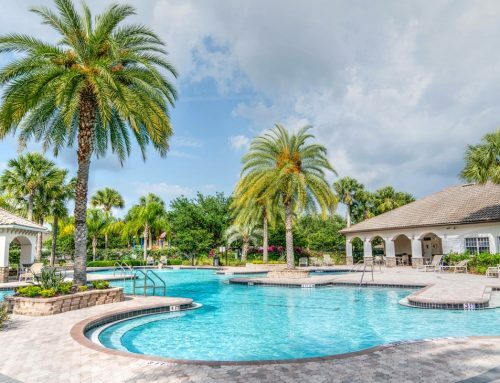 There’s also no denying Triangle Pool cleaning in Seminole is out to take the hassle out of the whole process. Feel free to call 727-531-0473 or fill out the online form for more information.